Understand the ins and outs of time extensions, compensable delays, concurrency, acceleration and the use of CPM schedules to determine cause and effect with this 3-part expert on-demand webinar series. Construction delay is costly — pure and simple. Not so simple is fighting the delay battles, and the legal complexities that could mean the difference between recovering costs or just a no-cost time extension. 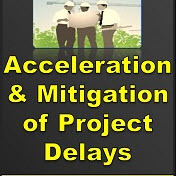 Concurrent and pacing delays, no-damage-for-delay clauses, constructive vs. voluntary acceleration, recovery schedules, and how to successfully support or defend a schedule impact claim are the subjects of this exclusive three-part series on construction delays. This three-part program will help you to successfully manage time-risk on your projects and review the importance of critical path method (CPM) schedule analysis to prove causation and actual time impact. Delay, the five-letter word that is anathema to contractors and owners alike, is much a fact of life in today’s large, complex, multi-year projects. Attorney Jeff Gilmore and consultant Tom Fertitta cover the topic from A-Z, including typical causes, types and outcomes of most delay situations. This information-packed program will help you get dialed into the intricacies of delay presentations, support, analysis and defense. Click here for the full program description. Attorney Brian Dugdale and construction consultant Michael Harris team up to explain the often-overlooked concept of mitigating delays, which the contractor is obligated to do notwithstanding the causes. The fine line between mitigation and acceleration is explained, along with the various types of acceleration, plus the necessary documentation and proof to support and price an acceleration claim. Click here for the full program description. 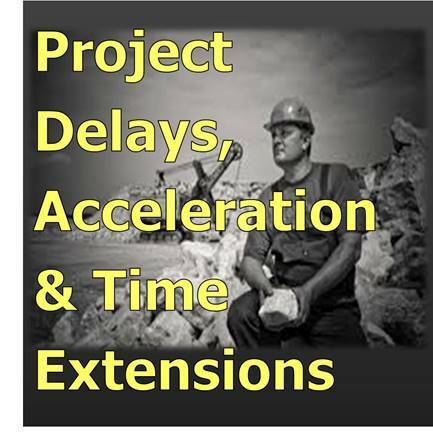 The proof for damages and time recovery of project delays and impact relies almost exclusively on the use of CPM schedules to show both the causes and extent of the delays incurred. Years of case decisions and industry dialogue have resulted in a number of best practices and approaches, both in the use of schedules during the job and for subsequent use in delay-claim support. 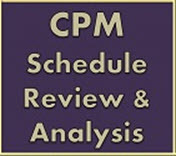 Consultant, expert and attorney John Livengood explains the various considerations for use of CPM schedules during the course of a project and in the preparation of a delay analysis. Click here for the full program description. Added Benefit. In-house training tool: Train your entire staff for one low price! Gather around the conference room table, listen to these experts, then discuss how it pertains to your particular company. Don't miss out on this fascinating training program. On-demand webinars are regularly priced at $199 each. The 3-part set would be $597. March special pricing is $298 (Save 50%). Recovery Schedules-The Construction Acceleration Hot Potato: Practical and Legal Considerations - Attorney Larry Baker and Expert Consultant Michael Harris provide insights on the ramifications of recovery schedules and issues of cost responsibilities. Click here for details.